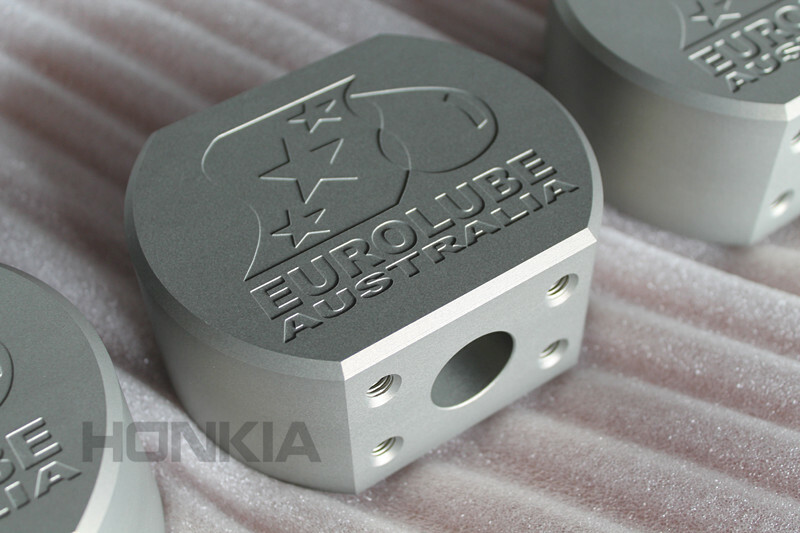 The customer was from Australia and ordered this 50 aluminum parts for their fluid system. 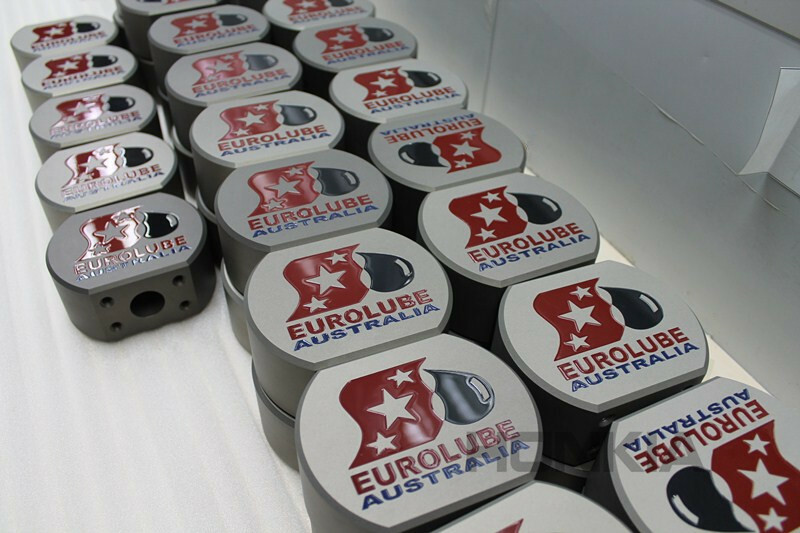 Painting three glossy colors of Red, Black and Blue on the laser engraved Logo & Text was the challenge. 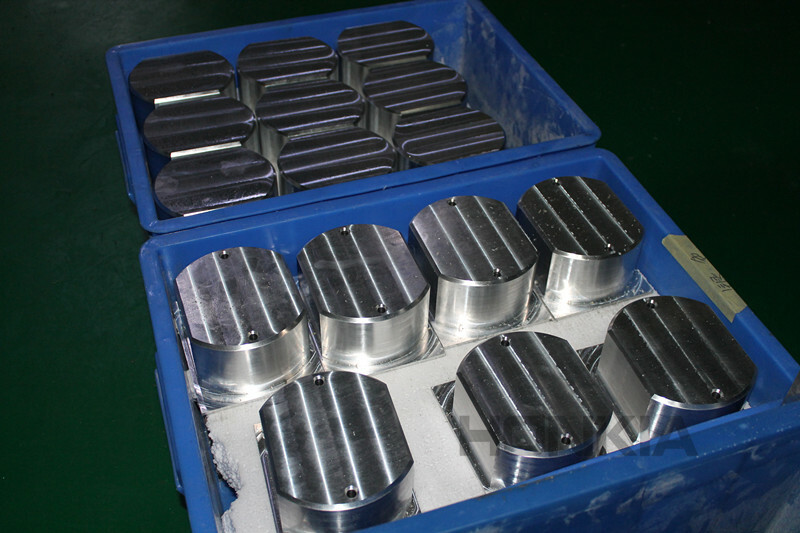 In addition, compared to common aluminum anodizing, hard anodizing provided much stronger abrasion and corrosion resistance, so this finishing was usually applied for mechanical parts of high abrasion & corrosion resistance required. 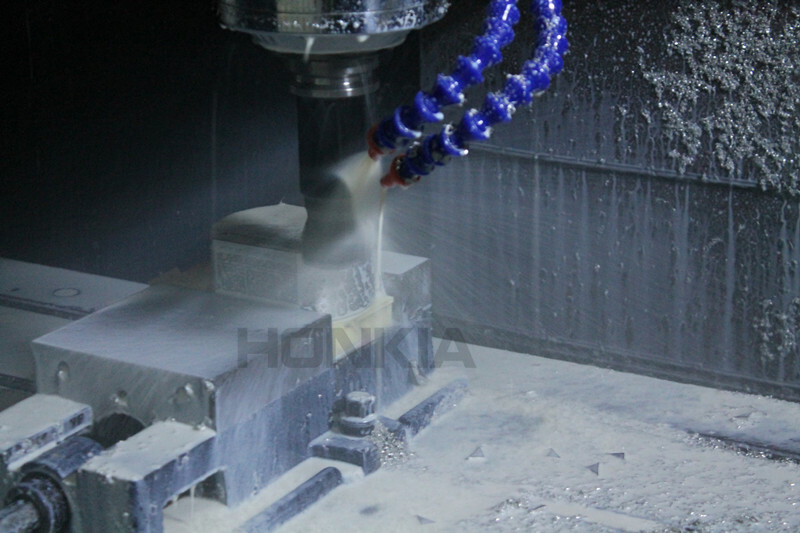 Step 1: CNC machining the aluminum parts. 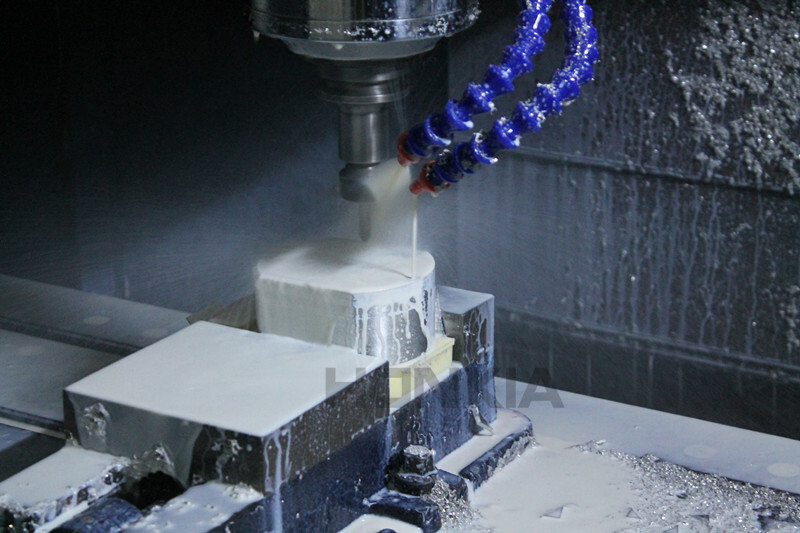 Strong cutting capability and reasonable cutting tool path were the two crucial factors to mill a high quality part that had tight tolerance, smooth milled surface and possibly shortest milling time. An ABS fixture ( the bottom yellow part) was applied to assist the CNC milling. Step 2: The CNC milled aluminum parts. 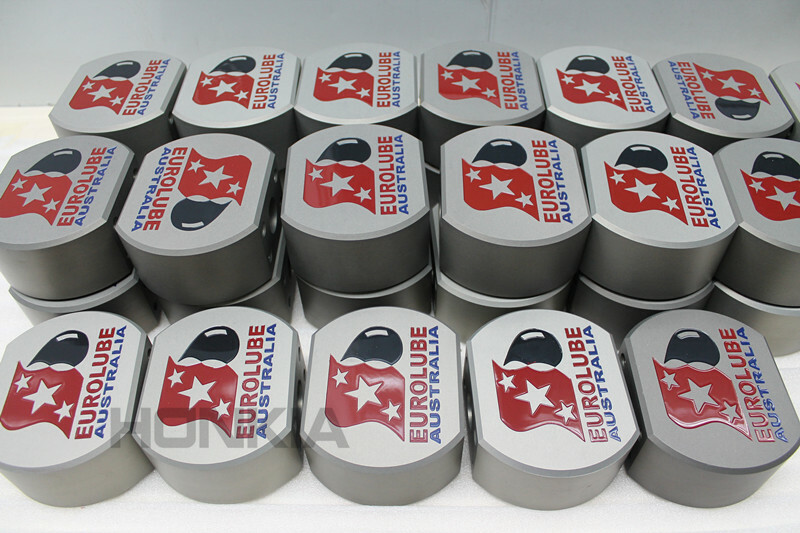 The milled quality smooth part surface reduced or even eliminated the hand sanding or beadblasting to remove cutting lines, which not only considerably saved the production time and cost, also ensured the tighter tolerance. Step 3: The M8 tapped, laser engraved and hard anodized parts. Hard anodizing finishing could improve the surface smooth quality by removing the minor cutting marks as well as the surface adhesion to other coatings such as the glossy painting did at next step. Step 4: The glossy colors of Red, Black and Blue painted on the Logo and Text. Painting different colors on one same surface was the key challenge for this project, it required excellent color matching and painting capability as well as the highly experienced surface finishing skills. Step 5: Packaging the parts for delivery. 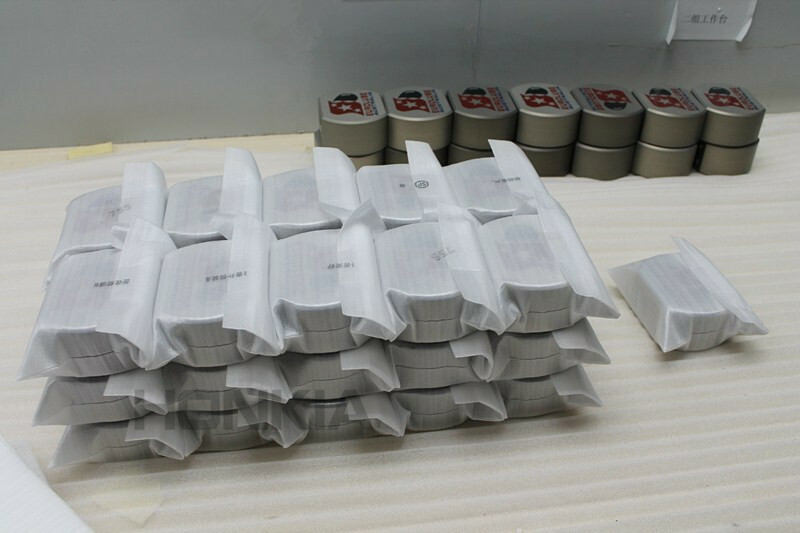 Each part was carefully quality checked and well packaged by foam bag for safe transportation, then put them all in a custom strong wooden box for delivery by DHL air express.